The holidays are upon us once again, and the thought of gift buying can sometimes add additional stress to an already busy season. San Diego is fortunate to have an abundance of shopping options for the hard-to-buy-for loved one. My first rule of thumb when selecting a gift for someone is to know something unique about them, e.g. hobbies, passions, and favorites. Once you know this you can tailor their gift perfectly for them. 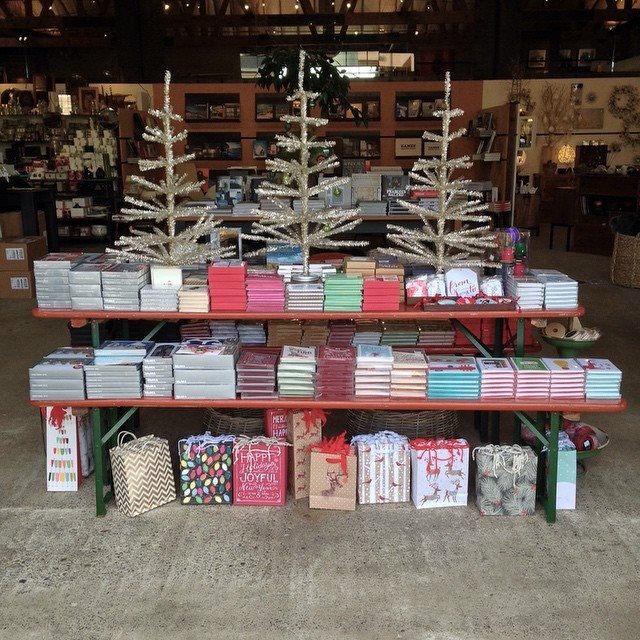 One of my favorite places to find unique gifts is With Love Gift & Paperie. With an ever changing inventory of cards, jewelry, French journals, and one-of-a-kind home accessories, this is a grand slam. I can always find something for a home or maybe the latest hip interior design coffee table book, or some luxurious smelling soap with an antique soap holder. The choices are never ending here in this treasure chest of fabulousness. The Headquarters shopping area offers two of my preferred stores. 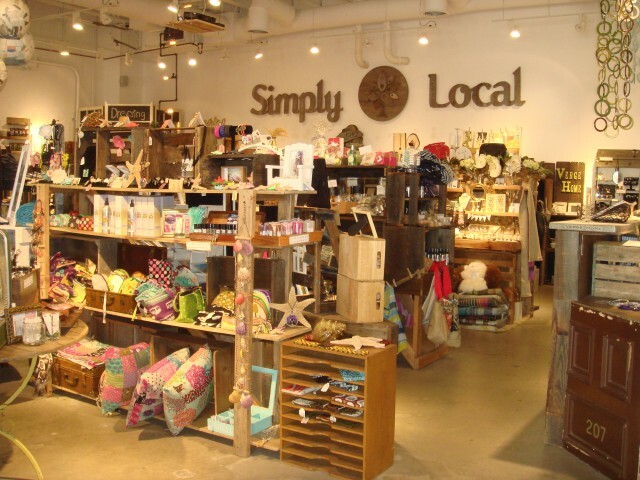 Simply Local‘s impressive location features over 50 local merchants and artists combined with treasures from around the world. Picture an indoor upscale farmers market. I love the jewelry, purses, gourmet kitchen and food items. 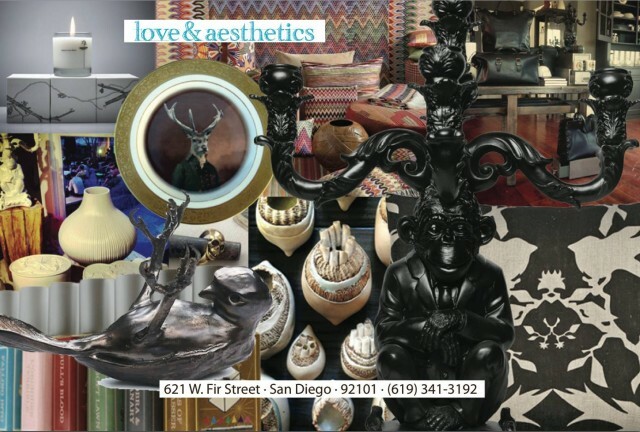 Their newest location just opened this month in North Park, 3013 University Ave. Seaside Paper/Home offers luxury candles, personalized stationery, hand selected home accessories and some exclusive proprietary lines. If you happen to be in Coronado, be sure to check out their second location at 1162 Orange Ave. I love shopping at antique stores for people. 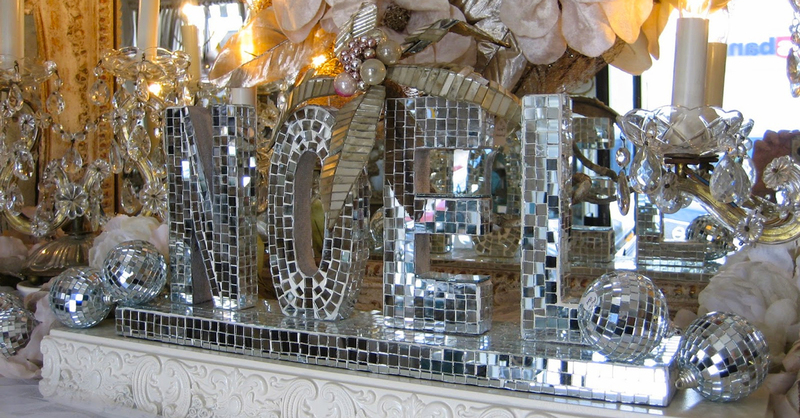 Vignettes, my go-to antique store, is located in Ocean Beach. I can always find the perfect piece of antique jewelry or accessory. Maybe an exclusive home or garden accessory is on your list? No matter what, be sure to check out the Chanel corner! This a one-of-a-kind antique store that makes you think of the splendor of Old Paris…Vive La France! The area of Little Italy features Love & Aesthetics. 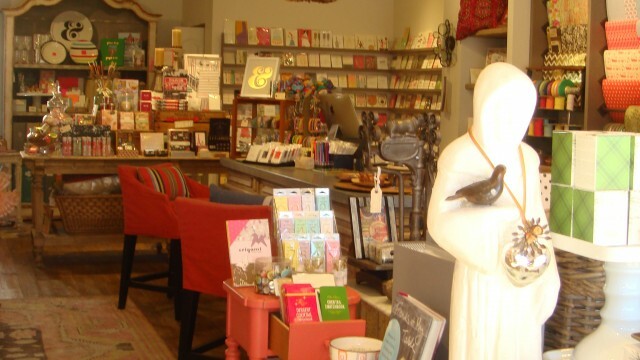 The owner of this lifestyle boutique carries items that he believes in and lives by. Representing local artists and independent companies, this boutique carries everything from jewelry to local re-purposed woodwork furniture to stunning vases and art. The second location in the neighborhood of North Park has a more masculine vibe. Further north in Solana Beach is San Diego’s design district in which resides a fabulous store called SOLO. With a 4,000 sq. ft. retail space and more than a dozen distinctive boutiques within the location, this is the place to find the perfect linen, jewelry, antiques, table top displays, collectible architectural books, and furniture. This entry was posted in Shopping and tagged downtown, mission bay and beaches, north county coastal by Sandra. Bookmark the permalink. 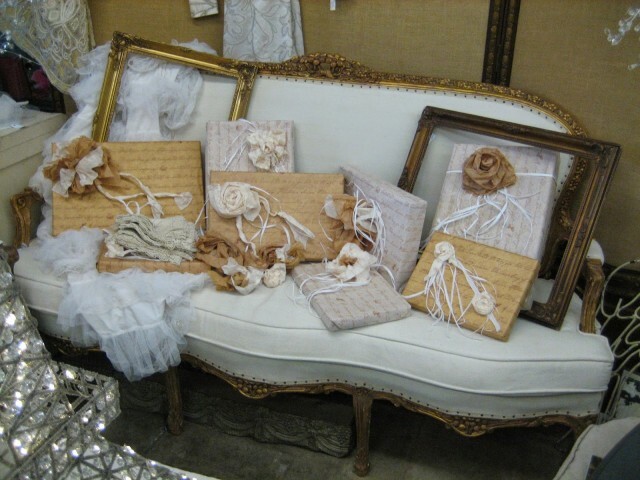 Love shopping at Vignettes the best of the best Antiques in all of San Diego………. Really amazing collection! I love to collect rare antiques and keen to know history behind them. I am very excited for holiday shopping. I hope, I will find some unique antique history in this holiday. Thank to share this great blog with us.